This game relies heavily on player interaction and your plans can easily be ruined by every one. During each turn it’s practically a ritual in my group to count out the Trouble markers, the minions in different areas and the the areas controlled. We’ve got one player controlling 3 or 4 areas? Go put minions there and generate Trouble! We’ve got player with minions on 8 or 9 areas? Asassinate! How does one actually reach his win condition in this stressful environment? Stay out of trouble! Point out to other players. Don’t get into direct confrontation when possible – leave your dirty work to the others. I found that by pointing things out (‘Watch out! He has 3 zones already and I have nothing to asassinate his minions with!’) other players will be forced to use their cards against your opponents, giving you time to work for your goal. Be polite, play smart, lie (you might actually have the asassination card that’s needed), work for your goal and take place in the dirty work only when absolutely necessary. I hope this helps – it realy works for me. Vimes is probably the easiest character to win with in four player games, challenging in 3 player games. Vimes has to delay the game enough for all the cards to be drawn out. That doesn’t mean he can’t help his luck in the process. 2. Drumknott, Ponder Stibbons, Leonard of Quirm, The Librarian, The Hex and Moist von Lipwig are your best friends! 3. When you have the chance to dicard or give another player a card (Queen Molly, Seamstresses’ guild, even Modo) do it. The less cards you have in your hand in the end of the turn, the more cards you draw from the deck. 4. Fool’s Guild and Dr. Whiteface are bad for business. If you ever draw them, make sure you offer them to somebody who can pay the 5 dollar fee. Players drawing one less card in the end of their turn is not desireble. 5. Always ruin other players’ potential goals, while working for one yourself. I found that tricking people into thinking I’m Vetinari works the best. Spread your minions all over the place and make other players assasinate them. Hay – it’s their cards that go wasted. 6. Always play wizards (and wizzards) whenever you can. Random events are bad for everybody, except Vimes. Oh, they are very good for Vimes. Fog is a great early gift from the Hogfather every time it gets drawn. 7. Buildingwise, there are two buildings that can actually help you – The Scours and the Unreal Estate. They let you discard cards and that’s all that matters. These buildings are not essential though. You can easilly win without them. If you have the chance, go and buy The Shades, The Dolly Sisters and Dimwell. These won’t help you a bit, but will make everybody else shed a tear in grief. 8. As every other secret personallity in this game – pay attention to the board! Never miss a single person and count tokens all the time. If somebody gets close to a potential goal – do something about it. Just make sure you camouflage it as part of your plan (to have minions in defferent areas). Bonus tip: sinse you are Vimes, you can be pretty confidant that the game won’t end prematurely (Riots is the only card that could potentionally ruin your plan), so it is very safe to take loans from the bank. Both loan cards allow you to play another card afterwards, so make use of them. Ah, Vetinari. He surely wants his city back. Havelock Vetinari always knows everything. This is achieved by having the most spies around Ankh-Morpork. You have to focus on geting your minions out there, not having them in the same places and not having them assasinated. 1. Spread out. Earlier access to the Isle of the Gods will grant you access to practically every area in the game. Just be careful not to draw suspicion early on. 2. Play all the cards that allaw you to place minions, place minions but don’t place Trouble markers, etc. Dwarves, Deep Dwarves, Mr. Shine, they are all your frineds. 3. Your friends are also Faul Ol’ Ron, The Dean, Rincewind and all the Interrupt cards. Aways take advantage of effect that allaw you to change the location of your minions. Trouble is also not desireble, because you don’t want any assasinations going on. Remember, in the school for Assasins Vetinari wasn’t so good with the knife. He prefared to study languages. 4. Buildingwise you will want to get The Dolly Sisters and/or Dimwell at almost all costs. Thats 4 potential minions each and are great way to get back assasinated minions on the board. Small Gods is great building to have in case a Random effect tries to ruin your strategy. The downside is that it is very expensive and very situational. Get it only if you can without making sacrifices. 5. Fight for control. Though you have no use of it, once people know who you really are, it’s almost certenly game over. Hide your identity at all costs and take active role in the scheming and intrigue. 6. Sometimes you have to put two of your minions on the same spot. Though it might brake your heart, a man’s gotta do what a man’s gotta do. This is a good way to make pople belive you’re not who they think you are. As a plus side, their reactions in the end when you flip over your Vetinari card will be much more satisfying! 7. Pay attention, watch out for Trouble, watch out for Random events and you should be fine! Vetinari is a really fun personality to play with. you have to be delicate and ruthless with him and always watch your back. 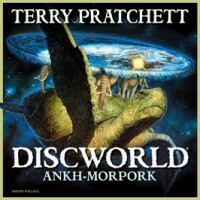 He is also my favourite Pratchett character, so go win some games with him and make me proud! 1. Too little cards in the game take away money from other players. Yes, we have the clowns and the Thieves, also Nobby, but that’s pretty much it. Use this – play openely and clearly for the acquisition of dollar dollar bills. Chrysoprase is the leader of the Troll mafia. Everybody has to recognize and respect him! 3. Buildgs. They are the most important thing in the game. In fact they are the only important thing. Get The Hippo early. Get Longwall and Dragon’s Landing. After that consider Nap Hill and Seven sleepers. You need those buildings. The Scours is always a valid option as well. 4. Sell everything you can. Sell your troll mother if possible. Use the seamstresses to sell your bad cards for the low low price of 2 dollars each. 5. Protect your associates and crush the opposition! Watch out for other players’ goals. 6. Insurance (or should I say inn-sewer-ants? )- always keep 5 dollars in your pocket in case of The Fire Brigade and 2 dollars per building in case of the bane of your exitance – Subsidence. If you manage to avoid those two and don’t let anyone else to win, the game is yours. If you like the concept of playing openly a character in a Hidden personality game, than you will have a blast. Just remember never to play in a hot room and always have access to ice cubes. The troll brain is very heat-sesitive indeed. Have fun! If you are playing with 4 players counterplay is quite easy to execute. This makes it particularly hard for you to win, if the others know who you are. I would advice you to do your best to keep your personality a secret to all, even if that means not following your goal as tightly. If you manage to fool your opponents they might hand you the victory, which in my opinion is a much easier way to win with 4 players. If you are playing with less than 4 players then don’t bother keeping your identity a secret so much. When there are less opponents the threat is much lesser and in my experience a more straightforward approach to your goal is the way to win. Areas controlled by a majority. This is the most common win condition, so you should always keep an eye on this. It’s useful to tot-up after a player’s turn when they’ve gained one or more new majorities. Areas with a piece present. A great tell-tale sign that the player is Vetinari is that they’re placing lots of individual pieces (especially in non-empty areas, where the piece does not give them a majority). Cards that move pieces are also useful for Vetinari who can turn one “controlled” area into two quite subtly. Money. Chrysoprase needs a lot of money, but don’t forget that buildings count as assets (and are harder to lose). Players who buy a lot of buildings tend to be using them to consolidate their money as well as people who just have a huge pile in front of them. A great starting move for Chrysoprase is to try to get an early building that generates money (though that will benefit most players). Trouble. The Dragon King loves trouble in the streets, so watch out for people who play pieces into territories they have no chance of winning and where trouble would be added. Also, be wary of players who repeatedly discard Watch cards that reduce trouble. Running out the deck. Vimes can be a tough one to watch, and you shouldn’t worry too much about him. The best way to beat Vimes is to win after all! Still, if you want to spot Vimes, you should look out for people who seem happy to tie territories without ever controlling them and players who are discarding and drawing a lot of cards. Lastly a general tip: don’t forget that each player has multiple opponents. If you notice that someone might be close to winning with a win condition, especially if they would win at the start of their next turn, don’t stay quiet! Let it become the group’s problem to stop them from winning instead of just yours. With 4 players we find its quite easy to stop anyone else from winning (especially if Vimes is playing, keeping track of any potential victory criteria met and letting everybody know). This means Vimes wins almost every time he’s played (we only had one 4 player game ending in an early victory by the Dragon). We now drop Vimes from the deck when picking our characters in a 4 player game. Buy a building(s) as quickly as possible. They give you incredibly powerful abilities that will be key to pulling off your victory condition or preventing your opponent from winning. Don’t wait — get these as quickly as humanly possible.